Hearts are heavy following Wild Beasts’ recently announced split – yet Domino nonetheless announce the release of the ‘Punk Drunk And Trembling EP’, available digitally on Friday 20th October 2017 and on limited 10” via Dom Mart on Friday 17th November 2017. An uncovered rarity from the band’s Boy King recording sessions, with its lead track available digitally now. The EP also features the tracks ‘Maze’ and ‘Last Night All My Dreams Came True’, previously only available on the deluxe vinyl version of Boy King. 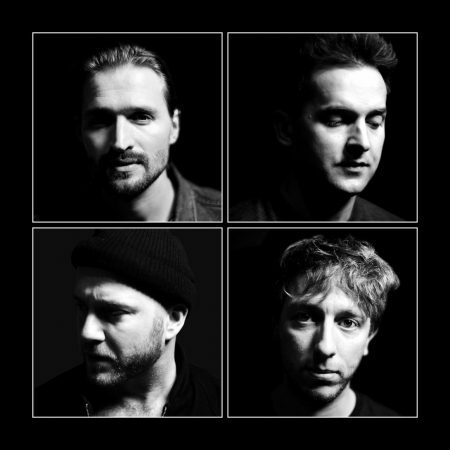 The band released the following statement yesterday: “Wild Beasts are coming to an end. Our hearts and minds have been devoted to the band since we were teenagers. We’ve created something quite of our own, and built a body of work which we stand by, as heartfelt and true. The four of us have decided for our own reasons, and in our own ways that it is now time to leave this orbit. We’re care takers to something precious and don’t want to have it diminish, as we move forward in our lives. Thank you for your love and energy, and for helping us make it what it is. We consider ourselves remarkably fortunate to have lived out this dream. Before we go, we’d like to celebrate with you“. Tickets for the shows are available now from wild-beasts.co.uk.